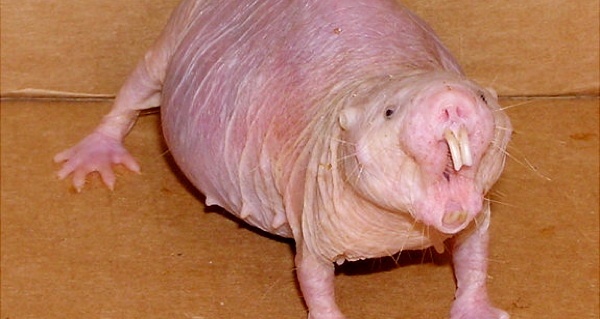 The naked mole rat may be one of the most fascinating mammals in the animal kingdom. 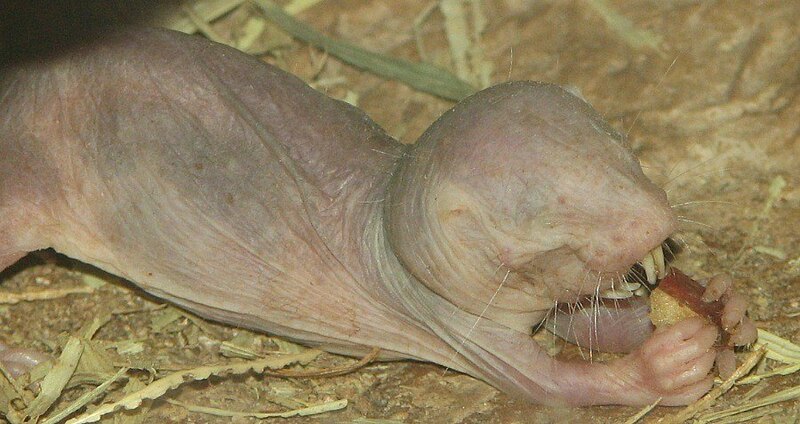 Naked mole rats are hairless, covered in wrinkles, and not exactly the kind of animal that inspires any sort of sustained, popular interest — but a recent study may change that. As a consequence of sharing tight, cramped quarters with up to 200 others in subterranean colonies, naked mole rats have adapted to a life in which oxygen levels are frequently low by developing a fructose-based metabolic system. This process doesn’t require oxygen to perform, and was previously believed to only be used by plants. The study, co-led by Gary Lewin of the Max Delbrück Center for Molecular Medicine, systematically tested just how much of a lack of oxygen these little rodents could withstand. For all known mammals, the cells of the brain begin to starve as soon as it becomes deprived of oxygen, which then depletes the mammals of their energy and causes them to die. In this experiment, researchers placed the subjects in an environment with only five percent oxygen, or half the amount required to keep a human being alive. After several hours in these conditions, researchers found that the mole rats were hardly affected at all. After the researchers reintroduced oxygen into the tank, they noted that the rats quickly recovered and without any lasting damage. After analyzing their data, scientists discovered large amounts of fructose in the mole rats’ bloodstreams. Switching from a glucose-based metabolic system to one operating with fructose during anoxia, the rats were able to continue creating the essential energy needed for brain and heart cells to function, keeping them alive in a way never-before-seen, and allowing them to survive conditions that would kill a human being in mere minutes. Researchers found that this game-changing fructose was transported via molecular fructose pumps, which in all other mammals are only found in the cells of the intestines. Once the fructose made it to the rat’s brain, it accumulated to the point that it could be metabolized. 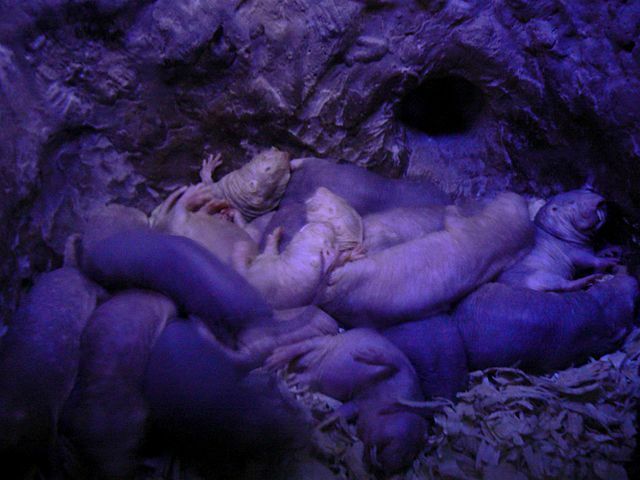 Additionally, the naked mole rats conserved what energy remained by slowing their pulse and breathing rates. Pulmonary edema, which is a buildup of fluid in the lungs, provided the rats with their final layer of protection from the oxygen-deprived conditions, allowing these fascinating creatures to survive in a state of suspended animation despite a total lack of air. 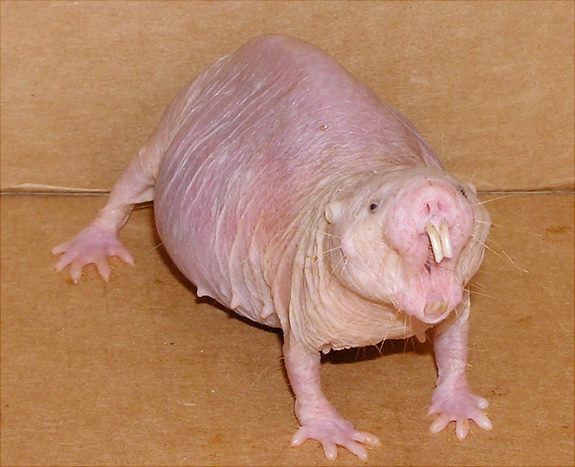 The mole rats continue to use fructose until oxygen becomes available again. So what does this mean for you? Researchers are planning to study how these traits and processes might apply to those suffering from oxygen deficiency as a result of a stroke or heart attack. For more pioneering animals, check out the stories of the first animals in space. Then, check out the legend of the rat kings, a giant super rat made up of dozens of rodents.